﻿Here are some helpful links for our RCBA members and the Racine community. ﻿Need to find a lawyer in Racine or elsewhere in Wisconsin? Click here to access the State's lawyer directory. ﻿﻿Need to conduct a driver's license check? 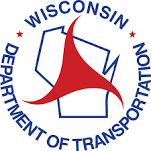 Wisconsin's DOT website provides license searches. Question about Racine's local court rules? Here is the 2015 pdf. ﻿﻿Need to look-up your case or an attorney/judge calendar? Click here to access the State's case directory. Look-up the location of a Wisconsin inmate or a probation office. Look-up for inmates, warrants, and sales here. ﻿﻿This pdf has the contact information for County Courthouses.